A few years ago I hosted some events at Fan Expo in Toronto. In between shows I sat in the greenroom, usually with my face buried in a newspaper or a book. One afternoon as I sat reading I felt someone come sit at the table with me. They didn’t say anything and I didn’t look up. It was so crazy busy on the floor; everyone was enjoying the relative tranquility of the greenroom and staying to themselves. 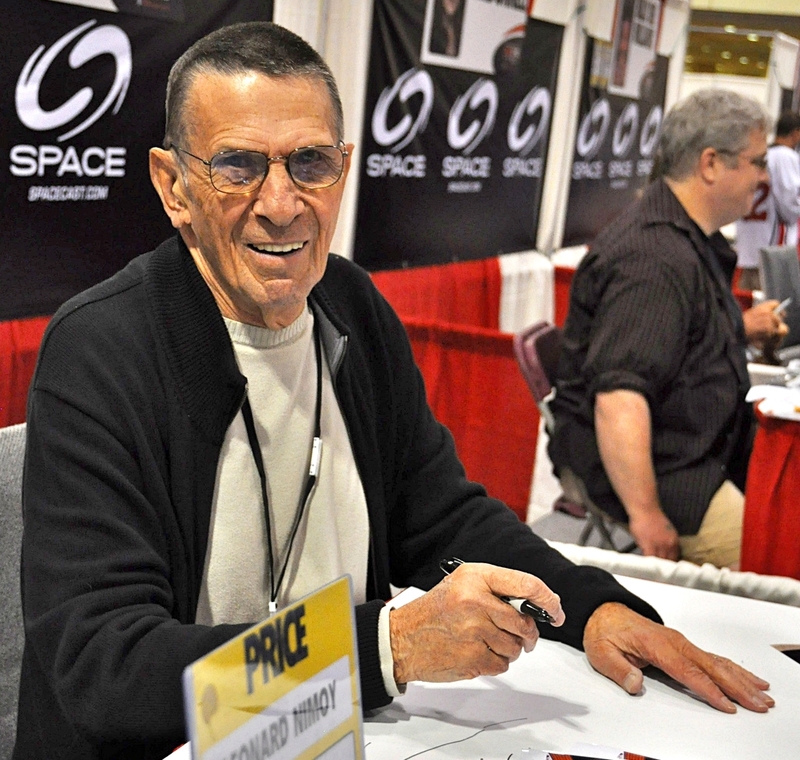 Then I heard “the voice” ask for something to eat and I realized I was sharing a table with Leonard Nimoy. Mr. Spock. The fanboy inside me exploded but I stayed calm. My inner Trekkie had roughly 5467 Star Trek questions that urgently needed answering but what could I ask him that hadn’t been asked 1000 times before? Instead we chatted briefly, ate lunch and later he nodded and waved to me when we were on the convention floor. In retrospect I’m glad to have spent a moment in time with him as a person and not a TV character.